$7 for a Calendar App? Is Calendars 5 Really Worth It? Apple has done a pretty good job with the default calendar application on iOS. It has the core features that you need for keeping track of your schedule Tempo Is Your Personal Assistant Calendar App for the iPhone Tempo Is Your Personal Assistant Calendar App for the iPhone I stopped using the default iOS Calendar app when Fantastical was released last year, but in the world of mobile apps, there's no end to new approaches for achieving the same results. Recently released "smart... Read More , and it’s relatively easy to use. 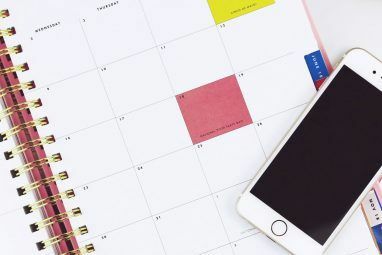 With that in mind, paying $7 for an application that keeps track of a schedule might seem a little crazy, but that’s just what Readdle wants you do with it’s app, Calendars 5. Is it really worth the cost of admission, or are you better off just using the application that comes freely installed out of the box? That’s just what I want to find out today. Note: The app is currently on sale for $2.99 as of 4/16/2014. 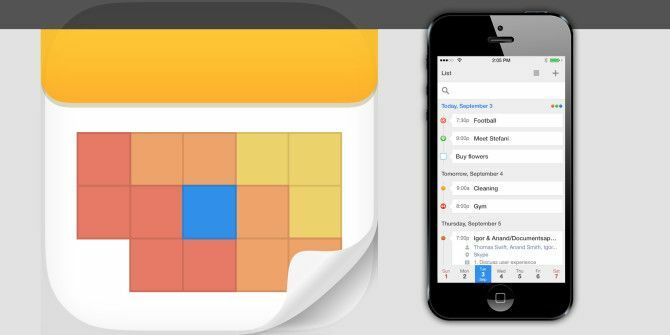 When you download Calendars 5 for the first time, it will allow you sync with either your Google or local iOS calendar. This means if you’ve already chosen to log events on one system, it shouldn’t prevent you from switching to this app because you can simply bring everything over. Calendars 5 is more than just a calendar, as it also features a to-do list that can be used to replace iOS Reminders or a similar app like Wunderlist Wunderlist Is A Compelling Alternative To Plain Old iOS Reminders Wunderlist Is A Compelling Alternative To Plain Old iOS Reminders A lot of people are perfectly content with iOS's built in Reminders feature, but there are some people who find themselves looking for more from a to-do app. Wunderlist gives you more. Read More . But it doesn’t actually have to replace it outright, as it also will sync with that, which means you can import all the important tasks you’ve already created there too. Essentially, this turns Calendars 5 into the only application you need to keep track of your schedule, reminders and life. One of the main selling points of this application is the inclusion of natural language How To Instantly Add Anything To Your Mac's Calendar How To Instantly Add Anything To Your Mac's Calendar Add something to your Mac's calendar in just a few keystrokes – we've got the software to make it possible. Read More for creating new events. Instead of using Apple’s scrolling wheel to create the time for an event, you can make them much faster in Calendars 5. As an example, you can simply type “Hockey game at 7pm,” and the application will enter that appropriately in the calendar for you. 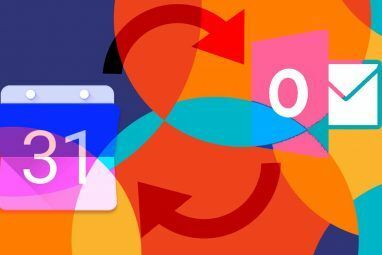 All too often people stop using task managers and calendars because entering events ends up being more work than it’s worth, and this feature goes a long way towards solving that problem. The feature goes beyond time and dates for an event. You can also use it to set up things like repeating events. For example, you can type “Go to store at 9pm repeat weekly” and the application will translate that into a weekly event on the day that you enter it in. 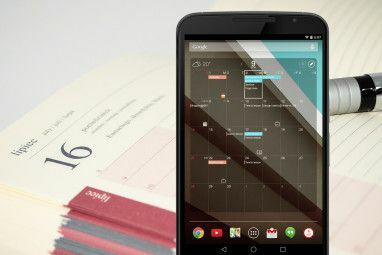 It’s a really smart idea, and it allows you do so more with your calendar in less time. As with most calendars, you can view your events by day, week, month, or even a list just showing everything you have coming up soon. This allows you to drill down and see only the time frame you need. If you sync with your other calendars, you can pick and choose which kinds of events get displayed. So if you sync with a work calendar that has a bunch of events that don’t pertain to you, you can click the calendar symbol on the top right of the screen and hide individual sections. This allows you to keep your calendar clean, displaying only events that matter to you. Another notable feature of Calendars 5 is the ability to view your calendars even without an Internet connection. If you own an iPad that you often use in places where Wi-Fi isn’t available, this is a critical feature, and one that I am quite happy to see included. Another important thing about this app, and one that you will notice right away, is the way it looks. The visual style used makes it really easy to take in your schedule quickly, so you know exactly what you need to do without wasting any time. You’ll also notice useful functions like reminders for events, the ability to repeat daily, weekly, monthly, and so on, and map integration for adding locations to your events and getting directions there when you need it. It really has everything you need for increasing efficiency and productivity. While I’ve made it quite clear that this application is worth the cost, perhaps you just aren’t willing to drop the money, or you just want a different app. That’s fine, because there are certainly other calendar applications out there. Fantastical 2 is one such alternative, coming with a $4.99 price tag and support for both a calendar and reminders for individual tasks. It’s still a little pricey, but it’s a fantastic choice if Calendars 5 doesn’t suit your tastes. While this app might seem a little expensive for a mobile calendar Tempo Is Your Personal Assistant Calendar App for the iPhone Tempo Is Your Personal Assistant Calendar App for the iPhone I stopped using the default iOS Calendar app when Fantastical was released last year, but in the world of mobile apps, there's no end to new approaches for achieving the same results. Recently released "smart... Read More , it’s definitely worth it. I always found calendars to be frustrating, taking too much time to enter in what I need to do, but with this, that problem goes away. That will allow me to actually stick with it and keep myself more organized. If you’re like me, you will love this app. If you don’t believe me, just check out our Best iPhone Apps Page, where this is prominently featured. Have you, or are you going to try out Calendars 5? What did you think of it? Hit the comments section below and let us know! Explore more about: Calendar, Google Calendar. I love the calendar for personal use. Color coding is great. * wish I could personally create color categories that are presorted, like Daylite. Rather just remember what colors mean. Also a wider array of colors for us visually oriented people. The task function is a bit messy, when I create a task it doesn't always appear on my main calendar, but only under the task bar in app on my phone. Task, color coding would be great. *Priority icon on weekly boxes would again assist. I use certain shape emoji's to denote priority as a substitute. I would like to see a function where you can invite someone through text rather than email. Email inboxes get full and people miss invites. It doesn't sync well with my Android friends. It doesn't sync (that I'm aware) with Outlook or Evernote. Photos or optional interfaces would be great, this is why I keep evernote. It also looks a bit flat, just a design perspective. In short I like the app and have been using it for about a year. Pretty simple for being one of the most expensive basic calendars apps. I'll look for a youtube tutorial as it may just be that I'm missing features. This is by far the best calendar app I own and I've paid for way too many in my quest to find what works for me. The best teature in my opinion is that not only is it easy and intuitive to enter information, I can set 5 alarms for each entry which is great if you tend to get side tracked. I heard about it on an ADD podcast so I thought I'd check it out. Totally worth the $7 and has helped me tremendously since. It even works with my iwatch. That makes it even better because I can't tune out the physical reminders. In short, of course the answer is yes, because they paid for the article. This kind of advertorial stuff is weighing this site down. I'm afraid you're both wrong. We do run sponsored stories (in which we're still free to give our unbiased opinions) but this was not one. Any mention of affiliate codes or the like merely refers to the code added to the end of App Store URLs.